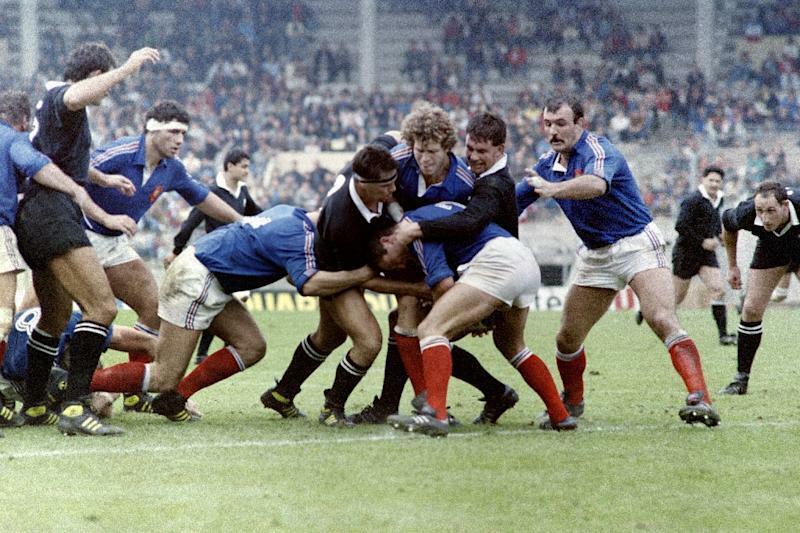 Paris (AFP) - France's national rugby union team was a vast consumer of amphetamines in the 1980s including in a famous win over the All Blacks, according to a new book. "They each had their little pill in front of their plates for the meal before the match," French team doctor of the time, Jacques Mombet, is quoted as saying in the book. Mombet said the drug taking was most obvious when France played New Zealand at Nantes in 1986. The match became dubbed "The battle of Nantes" for its ferocity which resulted in All Black legend Wayne Shelford being knocked out and losing several teeth in the process. France beat the All Blacks 16-3. "The Blacks realised that their opponents, unrecognisable from the previous week, were loaded," Mombet said in the book by investigative journalist Pierre Ballester. New Zealand made a complaint to the International Rugby Board, which approached the French sports ministry which informed the French federation and a clampdown was started, the doctor said. Ballester wrote that he asked the doctor whether that meant rugby legends such as Serge Blanco, Philippe Sella and Pierre Berbizier were involved. All played in the New Zealand game. "No, not them. Or at least it was very exceptional," the doctor was quoted as saying. France's rugby establishment, including Blanco, the current French Rugby Federation vice president, did not immediately react to the allegations. Former French prop Laurent Benezech said in 2013 that drug-taking in rugby in the 1980s was the same as in cycling. Others like ex-France coach Bernard Laporte, have also acknowledged that drugs were taken. Laporte told a French parliament hearing in 2013 players took drugs without knowing they were banned. Jean-Pierre Elissalde, a former French scrum half and whose playing career lasted from 1973-88, said in an interview with Le Figaro newspaper that "the sports world was stuffed with drugs in the 1970s and 1980s." Ballester wrote a 2004 book on disgraced cycling champion Lance Armstrong in which he was among the first to publicly make drug allegations against the seven-time Tour de France champion. His rugby book, "Rugby a Charges, l'enquete choc" (The case against rugby) is released in France on March 5. Ballester's book also casts doubt on the use of supplements by some current players. He said some substances could not be detected or were so new they were not yet known.